Did you know you can now order your Just Eat takeaway from Tiffins Tandoori Restaurant here on View? If you’re looking for spicy Indian cuisine then Tiffins Tandoori Resturant is the perfect venue. With a wide array of dishes and a relaxed atmosphere this makes a popular choice. 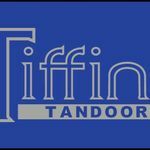 Do you work at Tiffins Tandoori Restaurant? What did you think of Tiffins Tandoori Restaurant? Despite ordering 2 x garlic naan and 1 x stuffed naan with my meal for a party of three, I only received one of each. I paid by card online in advance via Justeat. Co. Uk (the restaurant's website is not working) and collected the meal which was ready on time and very tasty, I only wish I had not trusted the staff to put all the items I paid for in the bag and checked them more thoroughly before leaving! Also, do not seem to have received a 10% discount applicable to orders made for collection which is advertised on the menu and restaurant´s own website.